New Faceplates from Easy Wood Tools! Highland recently added new faceplates from Easy Wood Tools! I am excited to have another affordable option for quality faceplates. These are anodized aluminum faceplates for 1”x8 tpi and 1-¼”x 8 tpi lathes. The thread size is etched on the face plate which makes it easy to identify the faceplates. 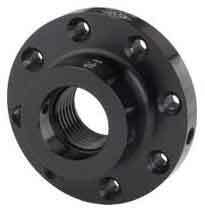 The diameters range from 2” up to 4-½ “. Each plate has 8 large screw holes for a more secure attachment to the blank. They also have set screws for reverse sanding and a 5/16” hole for use with a spanner rod (tommy bar or knockout rod)which makes it easy to remove the faceplate from the spindle. I have enjoyed using two Easy Wood Tools for my large lathe for some time. I will order at least two for my small lathe and dedicate one to my sanding disks so no more swapping face plates! CLICK HERE to check out Highland’s selection of Easy Wood Tools Faceplates. Is it really necessary to own one? Shocked By Your Dust Collection System? By Steve Johnson Today is Woodworkers Safety Day!